Are you trying to get your Life Rolling Forward but keep falling backwards and just can’t understand why? In 7 Keys to Connection, you’ll learn leading edge techniques primarily taught to therapists that can move you beyond negative thought, behavior, and physical or emotional patterns. And it’s change that lasts! Why? Because you create new brain pathways to build connection within yourself, with others, and with life itself. Be lead to a deep understanding of yourself, your motivations, and even your conflicting emotions, as well as causal factors – that are not your fault! The tools and resources take you to a place of true self love and compassion, the kind that heals the toughest of wounds. Are ongoing states of loneliness, relational challenges, depression or anxiety your norm? Do you engage in addictions that limit your peace and satisfaction with life? Are you frustrated by unrelenting physical health or emotional Issues? Are you challenged by feelings of unworthiness, insecurity or of not being good enough? Have you tried seeking help but to no avail? Find Freedom from Persistent Patterns of Health, Emotions and even Addictions! Integrating the 7 Keys into your life creates a relationship of Trust with Self and Spirit that builds a Foundation of Strength. This foundation gives you the Courage to take the risks necessary to manifest a life that connects to the Truth of who you are—free of the addictive patterns, conditions, beliefs and behaviors that hold you back. From this balance, struggle falls away and you can find purpose, meaning and give your best gifts to the world! 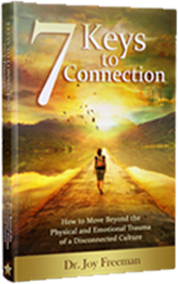 If you are tired of feeling helpless to life’s challenges, take 7 Keys to Connection home to get started on making real change and moving forward now! 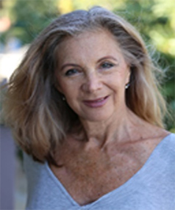 Dr. Joy Freeman’s professional research, practices and life long journey to self-healing have dramatically shifted her own life and the many lives she has touched. With powerful modalities, deep listening skills and trauma informed care, she gently helps you make core shifts, as well as teaches the essential actions to move beyond a dysfunctional childhood, emotional blocks, and even core shame.